I have managed to source a stunning supply of fossilised coral cabochons. I have used these in a variety of jewellery and here they have been made into a stunning pendant. 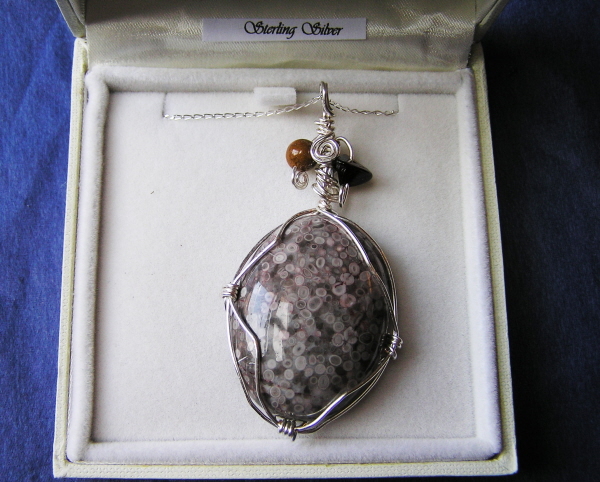 We have wrapped the cabochon with silver plated wire and the top of the pendant has also been strung with a variety of beads and crystals. 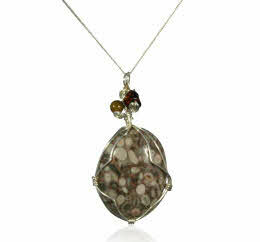 This pendant has been strung with an 18 inch Sterling Silver chain.